The 1st Battalion, 125th Field Artillery, is a Minnesota Army National Guard battalion headquartered in New Ulm. 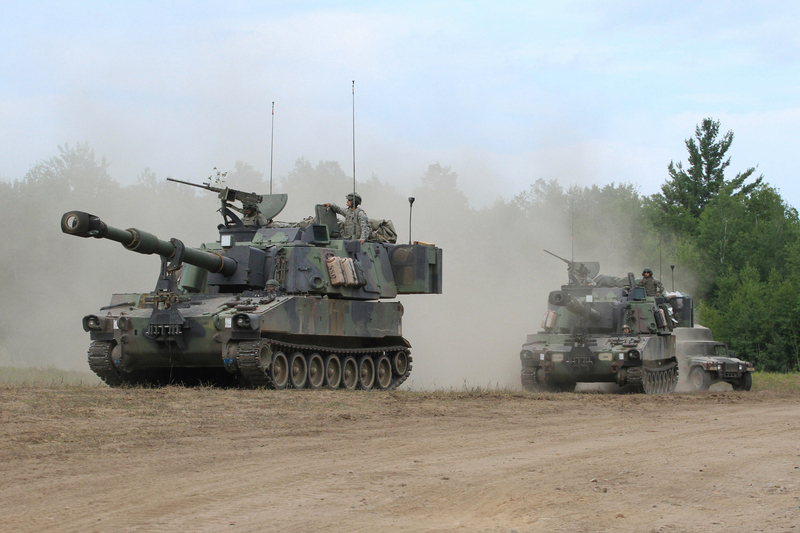 The 1-125 FA provides artillery fire support to the 1st Armored Brigade Combat Team, 34th Infantry Division. Each of the unit's three batteries field six guns to answer calls for fire. In the 1-125 FA's Headquarters and Headquarters Company, Soldiers are trained to assist with targeting and assess the enemy's counter-fire capabilities. In 2015 the battalion participated in both the Brigade Warfighter exercise and the eXportable Combat Training Capabilities exercise. The battalion underwent extensive training to refine its proficiency in the Military Decision Making Process and Mission Command. Additionally, Soldiers were validated on perimeter defense, mass casualty, tactical convoy, survivability and relocation, and communications. There are six major units in the 1-125 FA: Headquarters and Headquarters Battery in New Ulm, A Battery in Pipestone and Luverne, B Battery in Jackson, C Battery in Fairmont, F Company in St. Peter and St. James and the Headquarters and Headquarters Battery Detachment in Anoka. The 1-125 AR motto is "Faithful".